The BoBunny Blog: INTRODUCING: our new paper lines! INTRODUCING: our new paper lines! when we get to show you all the fabulous things we've been working on for the last couple months! Check back each day this week to see a different one of our new lines and for your chance to win some great new BoBunny product. So what do you guys think of the new Gabrielle line? Leave a comment telling us your favorite thing about it and we'll send one lucky winner some of the Gabrielle goodies! We'll be announcing the winners on Monday the 24th. Those puzzle pieces are super cool!! Wow it is all simply fabulous! I would never guess this was bobunny, love the butterflies! i LOVE LOVE it!!!! probably because i love all of your paper, but especially because i love butterflies! oh I love this! so pretty and soft! Wow. THIS is what I LOVE most about BoBunny! It's pretty -- not my style -- but loving the new puzzle pieces! Will that be something new in all of the lines? I hope so! I love, love, love, so pretty and soft! Wow, gorgeous line! Love the soft colors and the butterflies are just awesome! Oh WOW I just love this line! The colors are gorgeous!!! 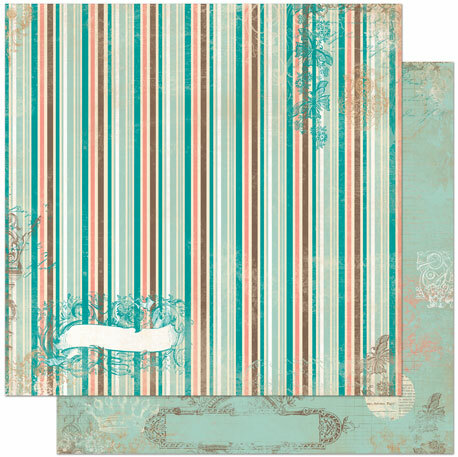 My favorits und paper colors. OMG, amazing lines! I love these papers and stamp. 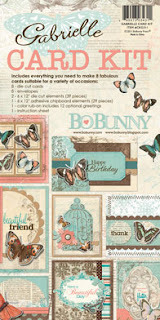 I just love those cute little puzzle pieces and the Butterfly printed mini. Loving all the butterflies! 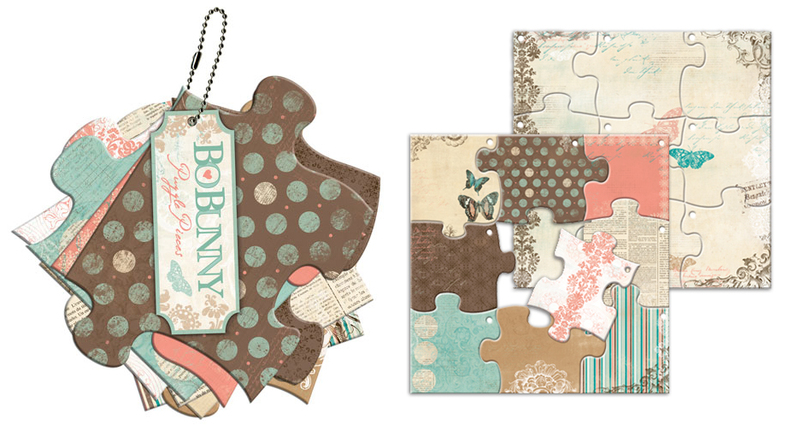 Those puzzle pieces are too cute and love the vintage trims too! Oh this is just so soft, pretty, and feminine! And I LOVE the puzzle pieces...how fun! Stunning color combination and love the butterflies! Wow! Love the colors + the beautiful butterflies! 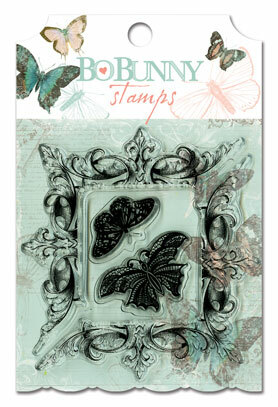 Especially love that there are butterfly stamps to go with the papers! This entire line is Great! Gotta love it all and you get a lot of bang for your buck with the enbellies!! The note pad is really jumping out at me too!! These are so great! I just saw a sampling of all your new lines in Creating Keepsakes new issue, and was so excited to see this line expounded upon! Thanks!! 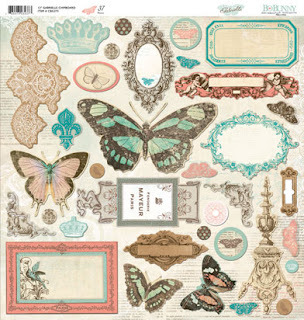 Love the vintage look...gorgeous butterflies..the embellishments are beyond fabulous!! Very pretty with a touch of romance to it. I love love the soft colors. I gasped out loud. oh is that ever pretty! I love all the gorgeous butterflies and soft, romantic, beautiful colors. This collection is so me. You guys nailed it with your gorgeous new line. I just love it, great colors. Pretty embelishments, a fantastic collection! You have outdone yourselves on this one! It is gorgeous!!!! OMG!!! BE STILL MY BEATING HEART!I love this line, Butterflies galore!!. I can so see a mini album with spring pictures... I want, I want , I want.....ALL of it!!! Love love love!!! 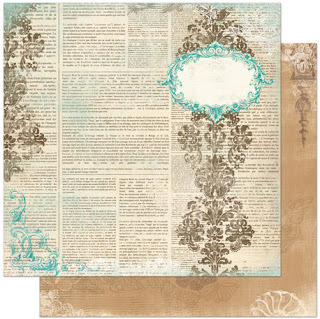 I love the Victorian feel of this paper line! The colors and the feel of it is so, so beautiful. Great job. Love the vintage look, the butterflies and the bling. So pretty. I can only imagine all of the beautiful layouts the DT will create! Oh...and Gabrielle herself will have a blast, I m sure! (with her own namesake paper line...LOL)I LOVE the colors and the butterflies...well...EVERYTHING! I love butterflies, so the whole butterfly theme is PERFECT!!! I LOVE the puzzle pieces and especially the printed mini album! I tend to stay away from shaped albums because they are such a pain to cut out the right shapes. You took that care of that problem beautifully! This is amazing, love the colours, the vintagy feel but I absolutely ADORE the puzzle pieces mini, too cute!! Love the butterflies! The colors are wonderful! I like the colors of this line! I love all the butterflies and the color combo!! The peach ribbon with the butterflies on it is my fave!! Oh my gosh...I am in LOVE with this line!! I LOVE butterflies!!! This is perfect for me! My theme at my wedding was butterflies, so these papers would be perfect for my wedding layouts!! The colors are just gorgeous! Beautiful!! The Trinkets are to die for!!! Beautiful!!! As always, Bo Bunny does not disappoint! 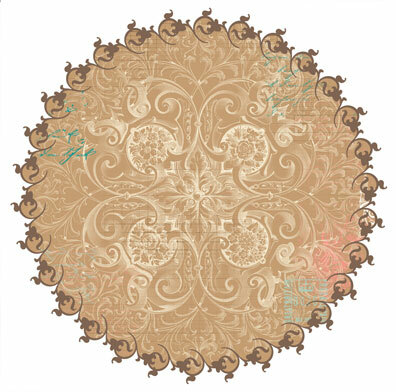 Love the puzzle pieces, and all the paper, so so pretty!!! Wow, so beautiful! I love the ribbon/trim, especially the coral lace...and the buttons are faboo! Thanks for the chance. WOW!!! This line is absolutely STUNNING!!!! I love butterflies and you've done them so well. I want every single piece and I NEVER say that about any line. Beautiful collection !! Can't wait to get my hands on it !! I am a BoBunny fan all the way. I love the puzzle pieces and just the entire line. Can't wait to see the other lines. butterflies and the colour combinations are great. Thanks for another great line of products. Loving it all, soooo beautiful, especially love the embellishments, and the butterflies. 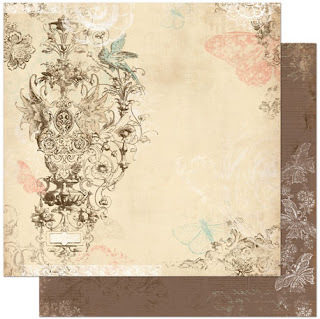 Oh my this is a nice soft line of paper and so vintage looking so love the butterflies, i cant wait to get my hands on them to start creating some nice spriing/summer papges of my younger years. THE TRINKETS ARE SO BEAUTIFUL! Beautiful! Love the color scheme and all the butterflies! The beautiful muted colors and the butterflies - what is there not to like!!! Love it all. My jaw just dropped to the floor! My Goodness, but this is an amazingly creative, elegant, and gorgeous collection! Can't wait to get my hands on it! You had me at Bo Bunny!!! I love the trinkets and the chipboard. My girlfriend is the butterfly lover, and I usually call her and tell her that something 'has her name all over it' - - but this line, it is so pretty! Love the vintage butterflies, and I'm new to the vintage craze. This will be a must have - it is on the Want-it-gotta-have-it list! It's the butterflies!!! Oh how gorgeous! This is so GORGEOUS!! I just can't wait to get my hands on it!! 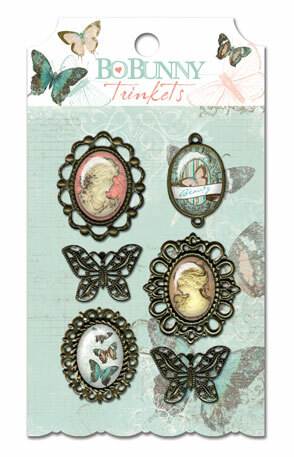 The new trinkets are beautiful and so are all the other embellishments!! Eye candy for sure!!! 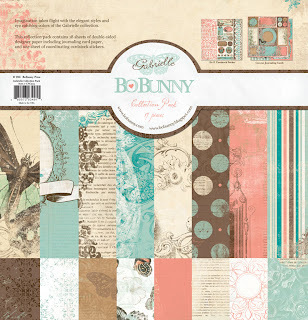 The best thing about the Gabrielle line is the fantastic set of embellishments.. so many companies fall short ... Paper is almost always top notch.. and then the embellishments are a let down - but you guys did such great work on designing them.. eboxy brads, stamps, the noteworthy journaling pages.. GORGEOUS. Very good work! I LOVE it! I love this paper! Trinkest and Brads stunning! Gorgeous! 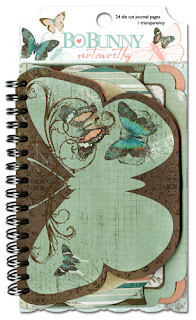 I'm a huge fan of butterflies.. Love the designs and soft colors! Beautiful!! Wowser...what a beautiful color palette. Love it! The trinkets are my favorite! I love this line. I want it all! 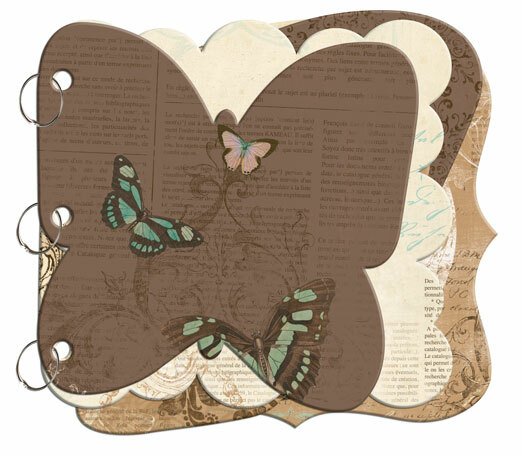 I love butterflies and it has a vintage kind of look too. So many possiblities. wow! they are beautiful and love the collections name "Gabrielle". love the printed puzzle. thanks Bo Bunny for the chance to win. Ok, wow doesn't even sum it up....absolutely GORGEOUS!!! Can't wait to see what else is coming!! "Gabrielle" so soft and very pretty, I am a sucker for anything vintage these days...Thanks for the peak, cannot wait to see in real life. I love it because it SCREAMS spring and we are due for some snow and ice tomorrow! The colors are so soft and pretty and I am already having ideas for spring layouts! It is such an elegant line..I would almost hate to cut the papers up. OHHHH! This is just lush! LOVE all these soft colors--and those puzzle pieces:) FAB!!!! Oh, I love butterflies. The colors are beautiful and I love the wraps! So elegant! I love the colors and the patterned paper! So beautiful! 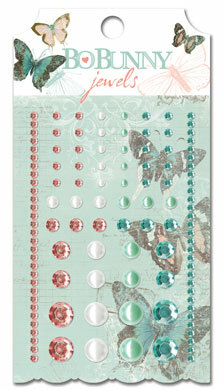 I love butterflies and the soft colors of this collection makes them even more beautiful to me. I also can't wait to get my hands on the card kit. LOVING it so much! Colors and the papers are so yummy! OMG...it's so beautiful!!! !love the entire collection. The colours are amazing! I LOVE the mini printed butterfly album! SO gorgeous! I think it is lovely! I adore the soft colors and metal trinkets! So beautiful - love the soft colors!!! I love the soft colors!! and everthing to match! The colors are amazing...LOVE the butterflies!!! 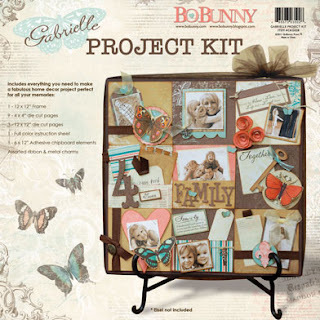 I LOVE everything about this line, but truly, I am so happy to see that you are offering a card kit. While I love to use my imagination to create things with the various elements, sometimes it's just nice to have a kit to make a quick, easy and elegant card! THANKS! I love butterflies! I can't wait to use this paper. I love all of this line. The colors are both vibrant and soft. I love the embellishments and would definitely buy the entire line. So, so beautiful! I really like the puzzle pieces and the printed mini album. Beautiful line--I really like the soft colors and the butterflies. Love the soft colors and the vintage feel! I can't wait to see the rest of the new lines! This collection is absolutely FABULOUS!!! Squeal!!! It's all so pretty! 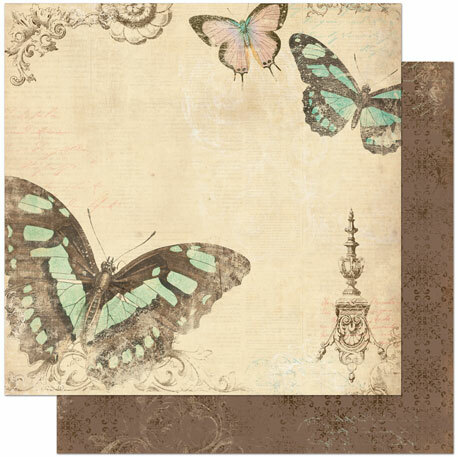 Love the shabby-chic feel, combined with the gorgeous butterflies. Fave thing? The frame in the stamp set! Wow - I love it all! - REALLY - a must have! If I had to pick one thing...the stamp...that frame is gorgeous and the butteflies are beautiful! Absolutely love it! The only thing that "I" don't like is the rubons...and that is because "I" am rubon CHALLENGED! I can see a LOT of new BoBunny in my future! TFS! The new collection is so gorgeous!! !♥ I love it! Wow- what for a wonderful paper line! I'm loving it! Oh my!! This line, I will have to say is my all time fave of BoBunny! Holy smokes, it's gorgeous! I love it! 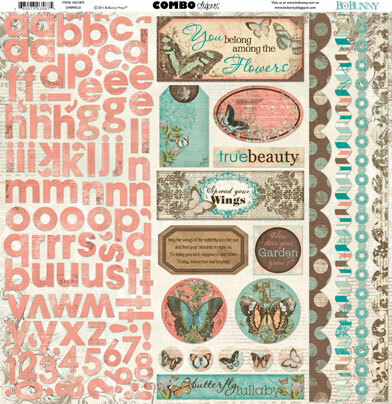 My fave is the papers and stamps! This is amazing, let me pick my jaw up off the floor, and clean up the drool...GORGEOUS! Hope I win, I would LOVE to play with this! from this collection I need everything!!! With 2 girls, and a new baby coming up in March I see lot's of possibilities!! Girly minibooks and layouts. Brand new newborn baby layouts and baby mini album!! wow wow wow!!! What's not to love? Love the color palette, designs, and trinkets. Oh, I love everything.! I want it all!!!! So fabulous I love the subtle color tones and the brads are stunning. beautiful!! I LOVE the buttons and trinkets, and the puzzle pieces are so cool! Lovin' all the butterflies in this line too. Can't wait to get this! Love the puzzle pieces, hope that will be a feature in all the new lines !! Wow, beautiful papers and embellishments. Really like your new stamps. So many beautiful uses for them. The paper isn't my style but I do love the embellishments. I love butterflies!! I'll check it out in person at the store. Maybe I will like the paper more when I see it. Love the colors of this line. The teal and peachy-pink are really pretty together. Absolutely stunning. I am NEVER disappointed when Bo Bunny gives us something new! And these products just scream at me to get creative. Love the vintage feel! If 2011 is starting out like this, I can only imagine what the rest of the year will be like! OMG!!!!!!!!!!!!!!! This is one incredibly GORGEOUS line! I love the shabby look, absolutely STUNNING!!! 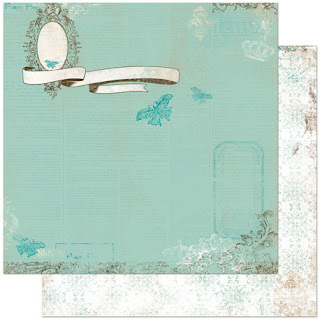 Love the 6x6 pad, and all the gorgeous elements, holly molly, I NEED and WANT THIS like tomorrow!!!! I just love the Wrap. I would love the opportunity to win something from such a gorgeous line. Just beautiful. It's beautiful beyond words! Absolutely adore it! I love the colors, and vintage feel! WOW! This is super gorgeous! 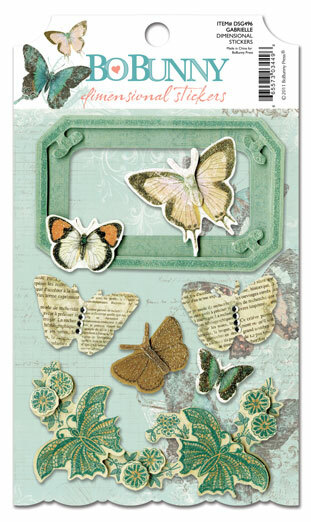 I love that the butterflies are fairly neutral, which means more scrapping for me!! 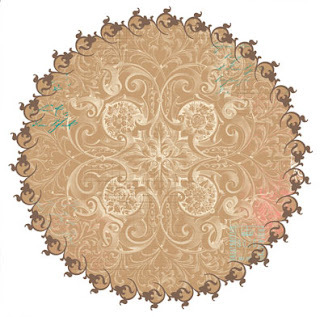 The puzzle peices are crazy-awesome, and the rest of the embellishments are so beautiful! Nice work!! This is a beautiful line. Such pretty pattern and embellishments. Will definitely be looking for this line. Loving this collection! Gabrielle is stunning and one I know my mom would love. Hoping my LSS Scrappers Cove carries it so I can pick her up a few sheets! Oh my! This collection is STUNNING!!! I love everything about it - especially the butterflies. 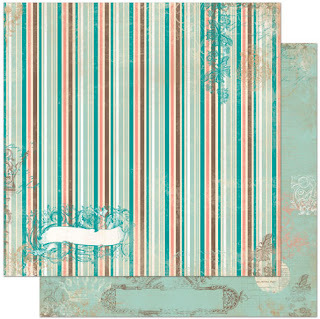 But if I had to pick just one product as a favourite, I would go with the layered chipboard. What a great idea! 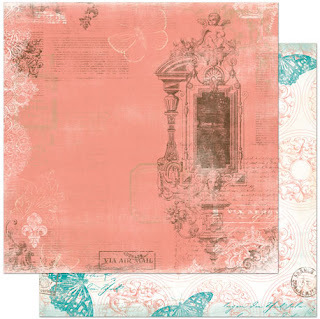 Beautiful papers - I love the vintage feel and gorgeous butterflies - the mini album is great. This is so lovely and to totally Bo Bunny! Love, love, love the embellishments, you do them so well! I am already picturing the possibilities with this new paper. I can't wait to see it for real! My fave is the trinkets. There are not a lot of little embellies like that out there...so detailed and versatile! 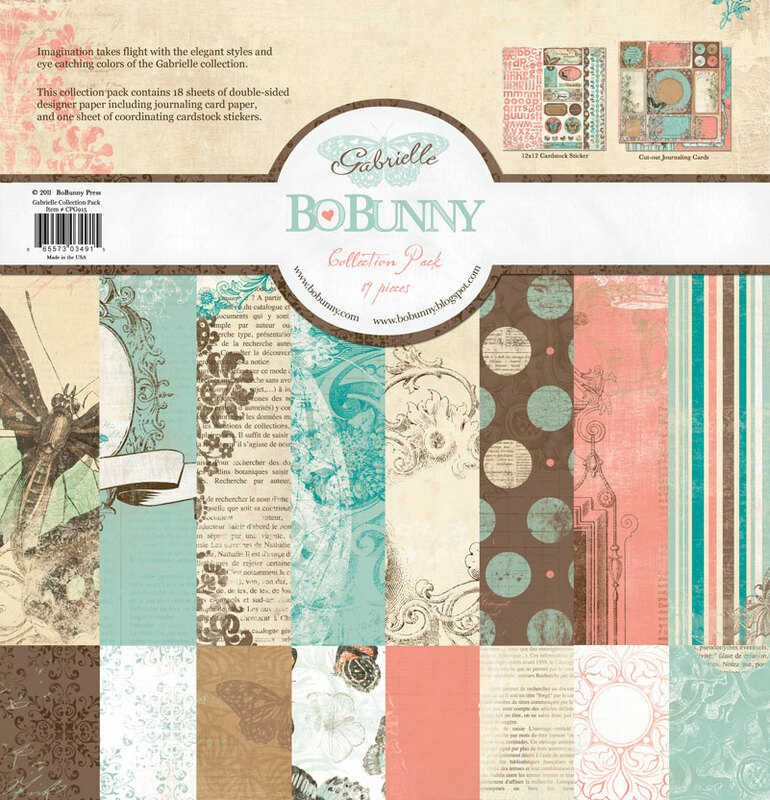 I love love love the butterflies and the colors of the line, just beautiful, I always love Bo Bunny. This must be named after Gabrelle Polloca,it's just her style! !Beautiful new line!! I LOVE everything about this new line. I mostly love the SOFT colors and the script elements. Oh I love the soft colors and the butterflies..beautiful! this is so lovely, awesome, fabulous! I love it. All the great details and the beautiful butterflies! Everything is simply gorgeous! Love the mini album and the embellisments!! What a gorgeous line!!! I love the colors & embellsihments are wanderful. It is so romantic and I just love all of the wonderful butterflies to choose from. So pretty! 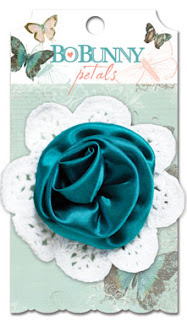 Love the vintage look and the colors are scrumptious and so springy! My ohhh my!!!! I think this collection will be my favo! I'am speechless. The collection is so compleet ... love the Trinkets and of corse the butterflies. First of all this line is absolutly amazing, i am totaly in love with it. I think my favorite are the trinkets and the brads, but who can choose between gorgeous and gorgeous. I simply can't ....I love it all. As you know Im just GIDDY about this collection and feel so flattered and honoured that this beautiful collection bears my name....I think I've already scrapped a dozen l/o's in my head with this collection...you know me and my love for butterflies!! A big THANK YOU from me to you all at Bo Bunny....love you guys!! these papers are stunning!!! gorgeous color combo to boot!! This is BEAUTIFUL! I need it all! You've really done a fabulous work! Soooo pretty! I love anything w/ butterflies on it!! The colours, oh the colours!!!!! Absolutely gorgeous lines Bo Bunny!!! Well Done! My favourite are the Trinkets!!!! I love all the butterflies and the soft color. This is so pretty! I can think of many projects to make for my mom,she loves butterflies! The colors in this collection are so soft and pretty! Love the butterflies. Love the new puzzle pieces! What a fun element to work with! 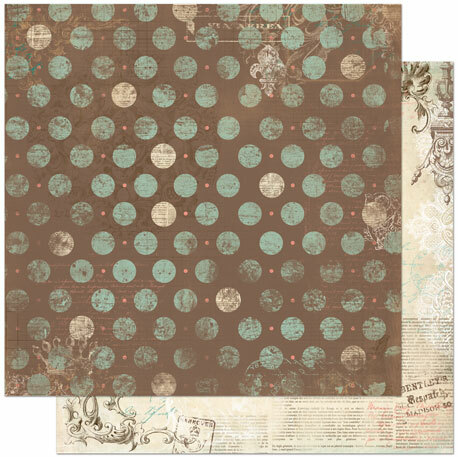 Definily on my shopping list this papers are gorgeous !!!! I love this collection. The colors are so soft and pretty. Perfect for the huge stash of vintage photos I just found! 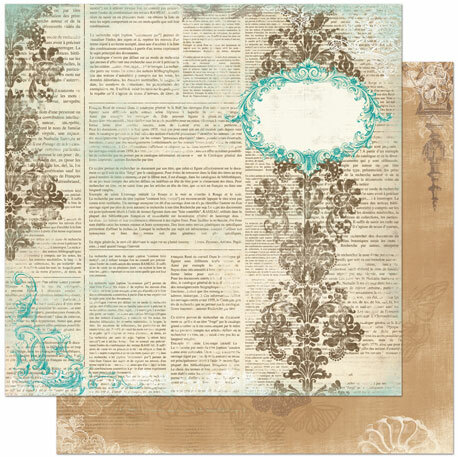 The embellishments are as beautiful as the apapers. Thanks for an awesome PRINTED mini album! Love it ALL! I love all the soft colors and already thinking of ways to use the puzzle pieces! My heart just leapt and skipped some beats as I am in love!! The colors are absolutely amazing!! This is exciting! 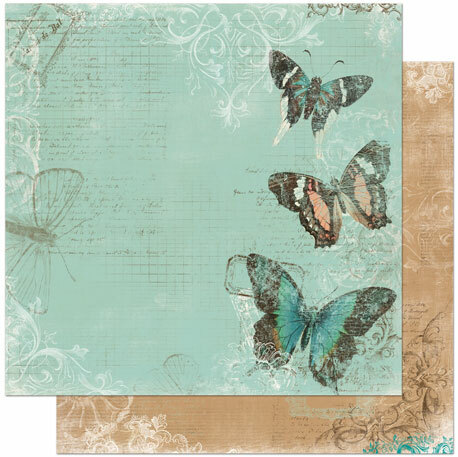 I've never won before...I love the soft colors and the butterflies and the European feel to this paper line. Thanks so much! I'm a big fan of the distressed look, and these new colors are terrific. 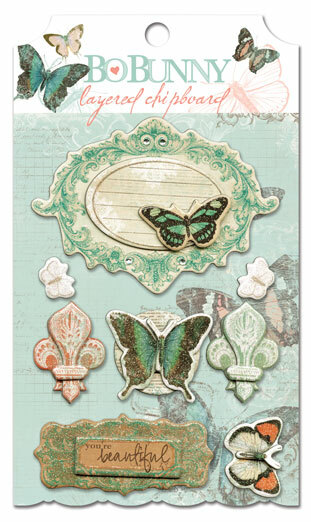 Also glad to see another card kit--they're so easy and make such a statement! Absolutely love this line...the butterflies are gorgeous...and I can't wait to buy it ...the colors...I am so excited! This is such a pretty line. I love the puzzle pieces! Gosh! I love the die cut! This shape is stunning and I had to gasp when I saw it! The wraps are also fabulous!!!! I love the colors here. The trinkets are very very sweet and beautiful! This is going to look fabulous with all my moms vintage photos. 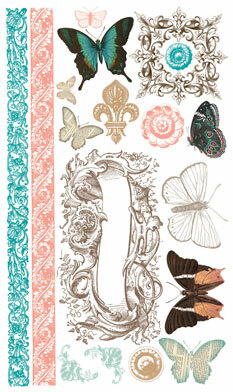 Very pretty new paper line! I love the vintage look...and the butterflies, awesome! Soft and feminine and love all the embellies too! The colors are fabulously gorgeous!! Sooo soft and pretty! Oh my goodness! I absolutely LOVE this entire Gabrielle collection! 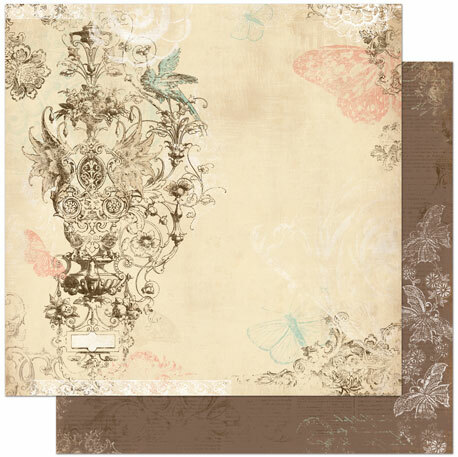 My favorite part about it is the color combination in the shabby chic style and all of those breath-taking butterflies! By the way, I don't think you could have chosen a better name for this collection... it PERFECTLY fits design team member Gabrielle Pollacco's style! Definitely my favorite new release! I dont't have words to describe how much I like this colection!!! wow! 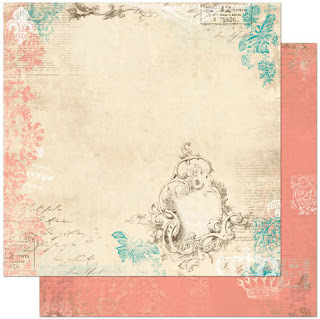 this is so pretty and shabby! i love it! Oh my goodness... Delicate, swirlyness, and those beautiful colours... I am in heaven! Love the colors and the puzzle pieces are so cute! I live in the same area as Gabrielle Pollacco and have loved her work for a very long time. You have added a extremely talented lady to your design team. This paper in honour of her is just AMAZING. Each paper is so Gabrielle!!! 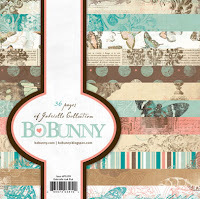 She will do beautiful things with this paper and I can hardly wait to get me hands on this collection myself. 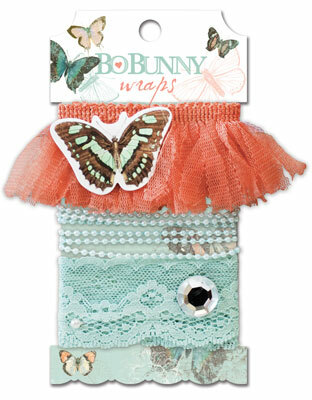 Way to go Bo Bunny for such a creative collection!!! 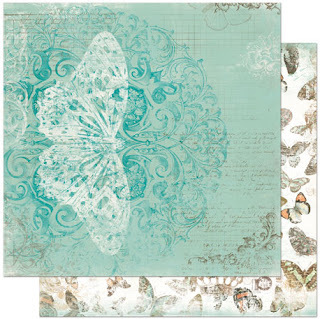 I love butterflies and pretty blues, so this line is great for me! I want too have this wonderful line!!!! I love the butterflies and the vintage looking colors. The puzzle pieces are also super cute! Ooooooohhhhhhhhhh I'm moved to tears... seriously. THis is so beautiful. So Gabi! Ohh *swon* this is a must have - cant wait till it hits the stores! It is going to be a success for sure! Good job you did for the last months! WOW !!!!! These papers are so wonderful... and the brads... I love all the collection... Because I love the butterflies !!! Oooh, how pretty! These colors are just FABULOUS!! What an absolutely yummy line. Love the soft vintagy feel of it. I'm crazy about the trinkets, jewels and brads! Gosh I have to admit that you are being so unfair asking us to commit to JUST ONE item in the new release. I have to admit that this is the first time I have wanted EVERYTHING it is all just to lovely for words...I can't break it up...it's all or nothing ( what a thought?) Thanks for such a well thought out collection. I love all!!! But the " home decor project kit" it´s my fav. super duper gorgeous! I'm a sucker for butterflies! 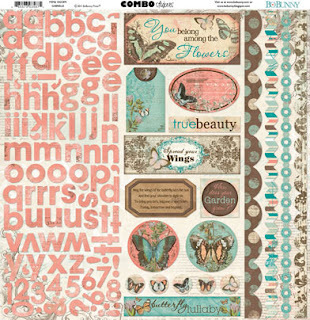 I love the browns and the butterflies are awesome, it has a nice vintage look and can't wait till it gets in the stores. My goodness I have just seen them on Gabielles blog and they are so lush and so perfectly named after such a talented lady!!! Can't wait to see what she designs with these beautiful papers and embellies especially since they are so personal to her and just up her street with the elegance of them!!! I love the colors. I always like your die cut sheets and die cut papers - can't be beat for value.